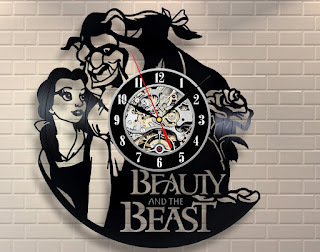 I love the fact that these Beauty And The Beast clocks are crafted from old vinyl records and that they feature scenes from Disney's animated movie Beauty and the Beast. 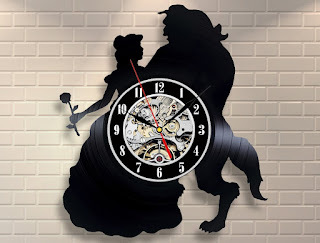 While the clock is new, the record is used meaning your clock is a piece of art and an upcycled piece of history. 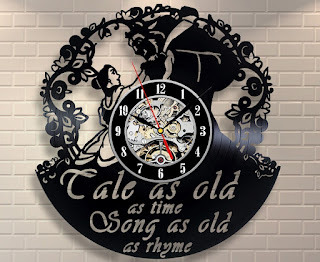 Also, if you love the idea of a movie-themed clock but want to pick another movie, Vinyl Evolution has many movies to choose from including but not limited to The Nightmare Before Christmas, the Game of Thrones, Star Wars and the Lion King. You can see all of the pieces available on Amazon by clicking here. Of course, with the upcoming live animated version, Disney will be re-releasing Beauty and the Beast. It will come to us in the form of a 25th Anniversary Edition and I know that it will be met with open arms because of the enduring popularity of this Disney classic. 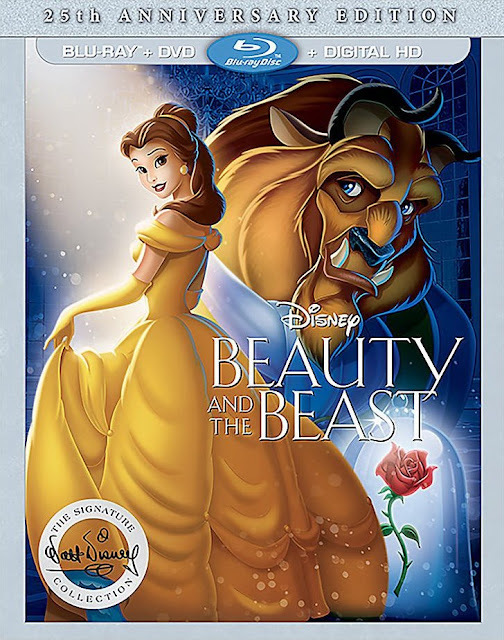 Beauty and the Beast, first released in 1991, was nominated for six Academy Awards including Best Picture in 1992 and the animation department won a Scientific and Technical Academy Award for designing the Computer Animated Production System used in the making of the film. The release date for the Blu-ray and DVD is September 20 though the movie will be available on Digital HD and Disney Movies Anywhere on September 6. The Blu-ray release shown above will include Blu-ray, DVD and Digital HD versions. Run time for the movie is 92 minutes but there appear to be hours of special features. You can find a list of special features and read more about this re-release on Amazon by clicking right here. Beauty and the Beast was a beautifully made movie. I cannot wait to see what Disney does with the the 25th Anniversary Edition this fall and then the live action version in 2017. You? I went in search of books about drawing the characters in Zootopia but alas, I expect I was too early. 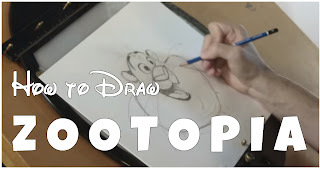 What I did find was a series of Walt Disney videos devoted to drawing the characters of Judy Hopps, Nicke Wilde, Benjamin Clawhauser and Flash as well as a beautiful book about the art of Zootopia by Jessica Julius. I hope these resources will help you with your interest in drawing Zootopia. 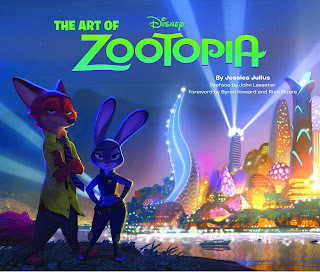 If you are interested in animation and Zootopia, you might also want to check out this book, The Art of Zootopia. This beautifully illustrated volume by Jessica Julius details the work behind the scenes that went into creating the movie. Amazon customers praise the hardcover version of the book but caution against buying the Kindle version. You can learn more about The Art of Zootopia by clicking right here. 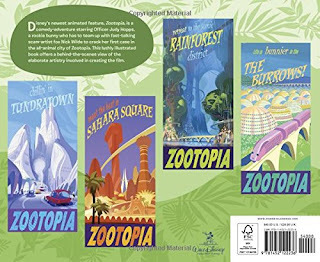 Learn more about The Art of Zootopia on Amazon. Find more Zootopia videos on Youtube by clicking right here. Well, it's here. Disney's Zootopia was released on Blu-ray, DVD and of course, Amazon Instant Video on June 7, 2016. Is it a movie you will be adding to your collection? Zootopia's success took some people by surprise. Mashable says that Zootopia was number 1 in its opening box office take, surpassing even the hugely successful movie Frozen. The movie was also successful globally, with the critics and the movie going public all of which are definitely reasons to look closer at this movie if you have not already done so. Jahns says the movie is definitely worth watching for children and for adults as it is funny but also carrys a message and that it is definitely worth watching on blu-ray disc. 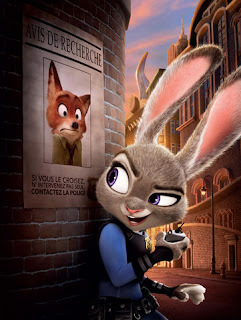 Blu-ray.com also highly recommends the blu-ray release, saying "Disney's Blu-ray 2D release of Zootopia yields the expectedly gorgeous 1080p video and top-notch 7.1 lossless soundtrack." High-Def Digest says, "This Blu-ray has some stellar video, some very strong audio, and a healthy portion of extras. 'Zootopia' is highly recommended." If you like Disney animated movies, Zootopia definitely sounds like a contender for your movie collection. You can find it on Amazon by clicking here. Will you be adding it to your movie collection? 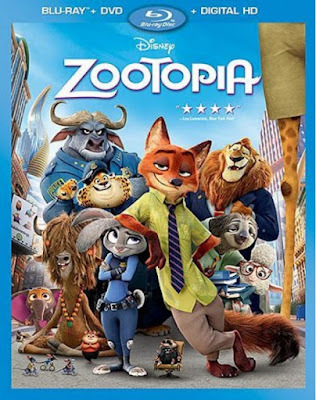 Order your copy of Zootopia from Amazon. I know there are many of you - actually millions of you - who are excited about the new Beauty and the Beast movie and that I am not alone! If you are keen on the original animated movie, I bet you are wondering what the new live action version starring Emma Watson will be like. 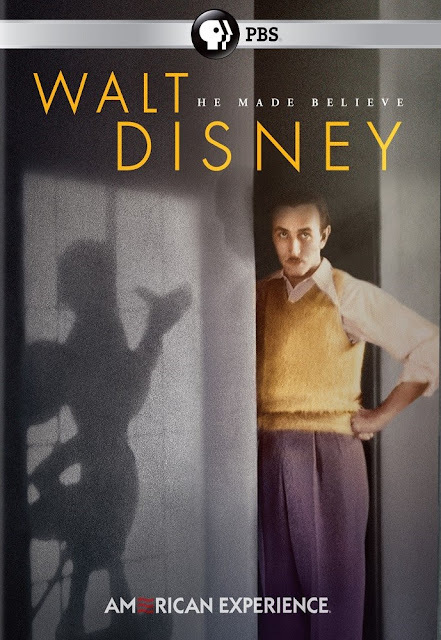 Questions like will Disney follow the original storyline, will the films be similar and will you be pleased or disappointed are likely running through your mind. 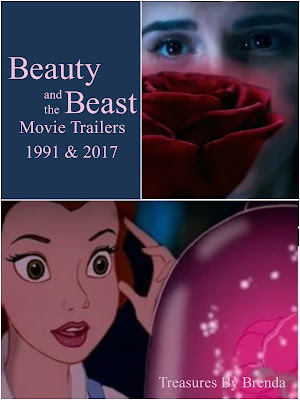 Well, it is early times yet but I just uncovered a helpful Youtube video, which nicely compares the two movie trailers: the one from the original animated movie release in 1991 and the one from the upcoming 2017 live action movie. If the video is any indication, I think we have the right to be excited. Disney has been doing the movie remakes so far in a way that generally pleases the fans. The animated movies that have been brought to life to date include Cinderella, The Jungle Book and Alice In Wonderland. Personally, I was not totally thrilled by Alice in Wonderland but that is another story. Disney's reboots are proving so successful that there are rumours of upcoming remakes for the films Dumbo, Pinocchio, The Little Mermaid and a Sword In The Stone. As Uproxx says, Disney seems to have adapted an "If it ain’t broke, don’t fix it" frame of mind. That works for me and I bet it works for you, too. Are you excited? I am. The trailer, although very short, really is magnificent. It looks like we have a great movie to look forward to. Watch the entire Beauty and the Beast 2017 trailer.